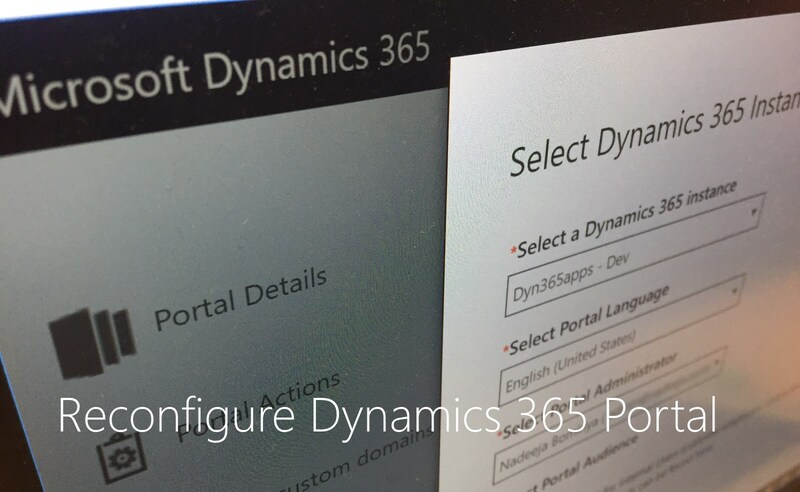 Recently, I had to reset one of the sandbox Dynamics 365 instances. 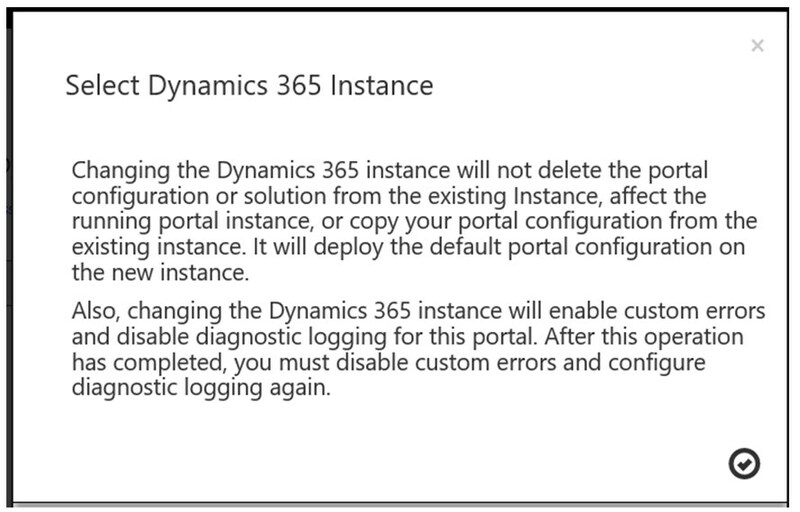 The Dynamics 365 Portal instance configured for the previously mentioned Dynamics 365 instance stopped working after the reset. 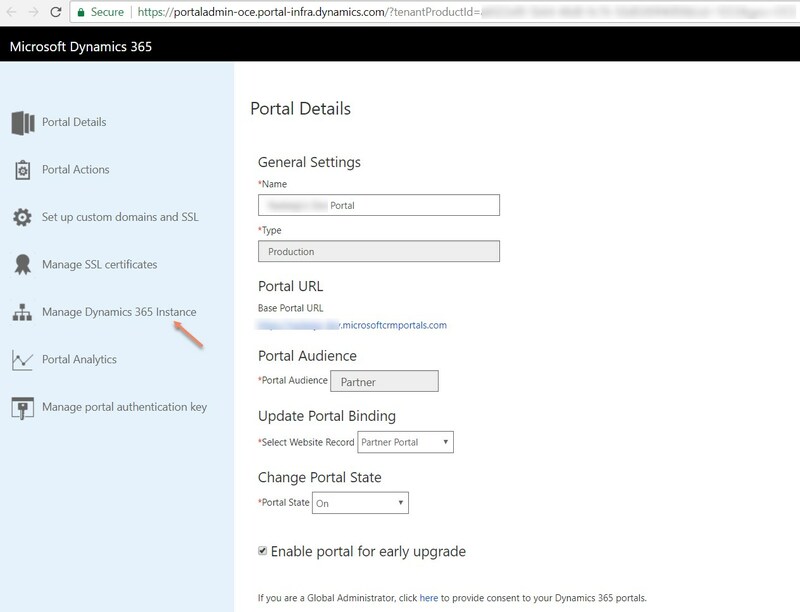 To resolve the issue, I had to reconfigure the Dynamics 365 Portal instance. 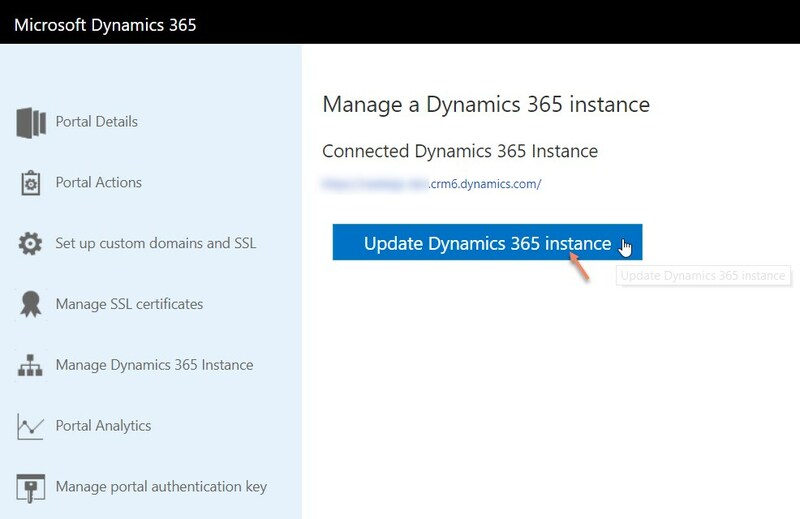 WARNING: Please back up your Dynamics 365 Instance before proceeding. 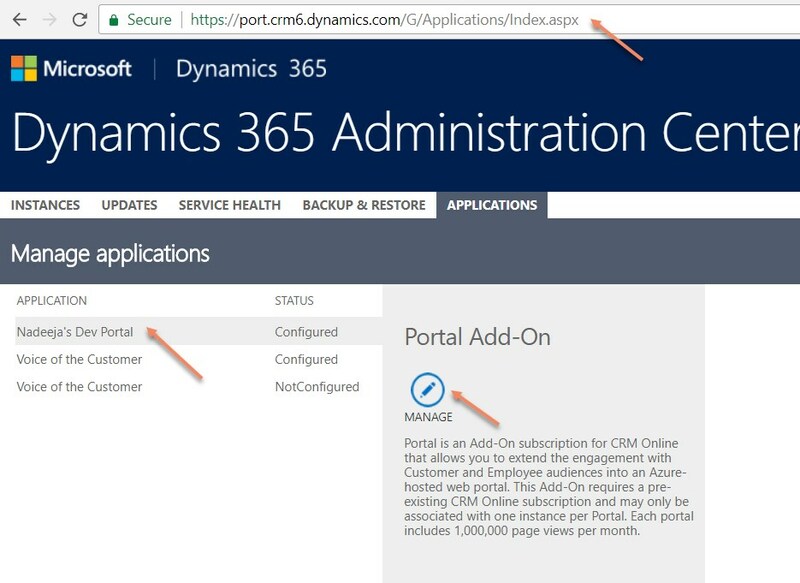 Step 1: Navigate to https://port.crm6.dynamics.com/G/Applications/Index.aspx site, select the Portal Add-on entry and click Manage. 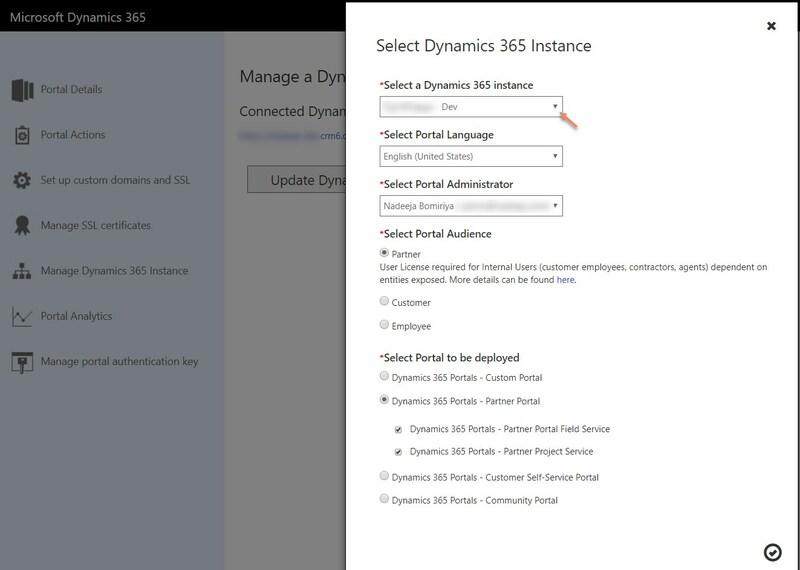 Step 4: Select the same instance as it was before. This will attempt to redeploy the solution and reconfigure the required settings. Ideally, you should keep the rest of the settings as it was before but you can change this if required. Click the Tick button. Step 5: The following warning message will appear. Click Tick button. Reconfiguration process may take some time. Typically, the process would complete within an hour.